By Hazel Chua on 01/15/15 • Leave a comment! Why so serious? The Joker probably isn’t a character you’d go to for words of wisdom, but we could all benefit from living life according to his trademark line. The more humor you find in every day life, the better your well-being. If you take things less seriously, then you might end up with less stress at the end of the day, right? You can start with your wallet. Sleek, thin, and black– that’s how it’s always been. 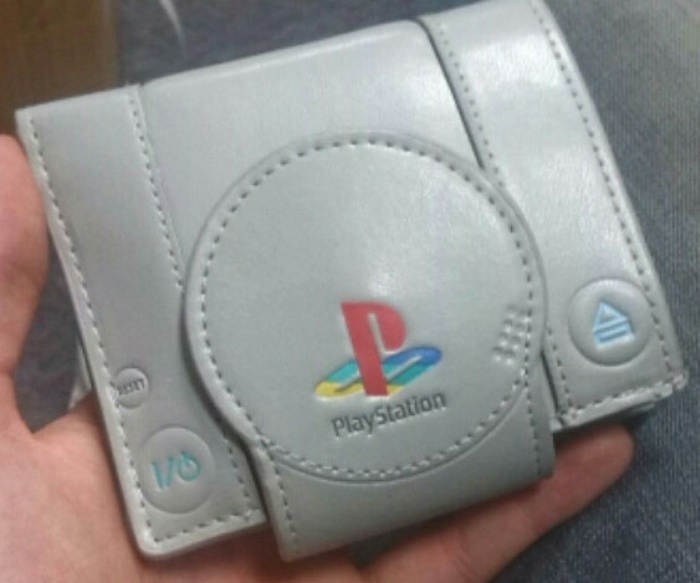 But if you’re in the market for a new one and want something that showcases one of your hobbies, then pick up this PlayStation wallet. It’s an officially-licensed product and looks like a miniature version of the real thing. Made from PVC and polyester, this wallet will last through many all-night gaming marathons. The PlayStation wallet is available for about $27. By Hazel Chua on 12/30/14 • Leave a comment! If you’ve ever lost your wallet or had it picked from your pocket, then you know what a huge pain the whole thing can be. Aside from losing your hard-earned cash, you’ll have to go through the process of canceling all of your cards and filing the necessary paperwork for your lost IDs and stuff. 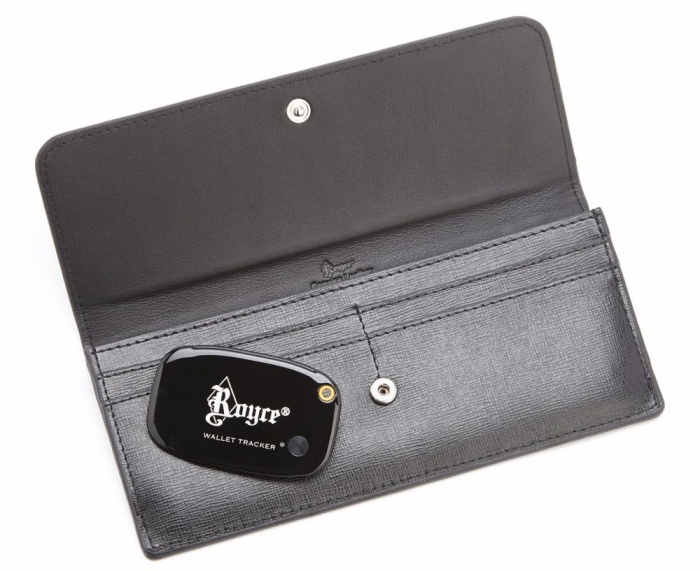 The Royce Leather Italian Saffiano Freedom Wallet isn’t the solution to all of your woes, although it will help you track down your wallet when you’ve misplaced it at home or when you’ve lost it. It comes with GPS tracking technology so you can use your phone to pinpoint its location. IT has a range of up to a hundred yards, so hopefully your wallet is still within the vicinity when you discover that it’s missing. 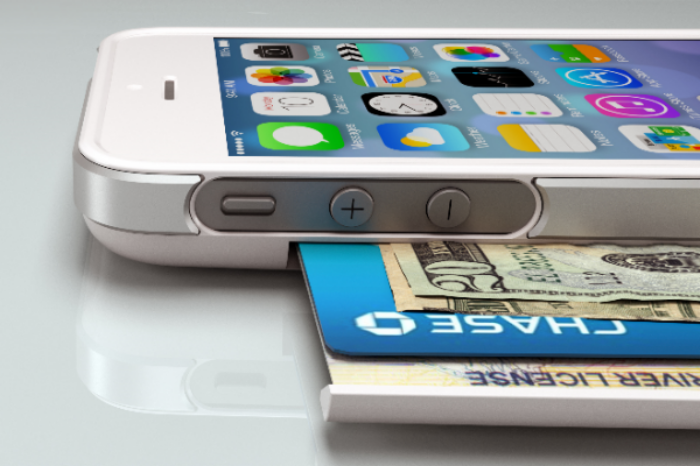 iLikey: PUSH iPhone Case is Also a Wallet–At the Touch of a Button! Back then, the one thing that most people grabbed before they headed out the door were their wallets. And now, decades later, people are forgetting their wallets more and more because it’s their phones that they’re grabbing at the last minute instead. How many times have you had a truly D’oh! moment upon realizing that you left your wallet, cards, and license in lieu of your phone? It’s times like these that Push will be able to prevent completely, because it’s a phone case that also happens to be a wallet at the same time. It’s not the first case-and-wallet hybrid to hit the shelves, but it’s definitely one of the most discreet and well-put together cases of its kind. Finding the perfect wallet for men is like finding the perfect pair of jeans to women. There are many choices, many different designs, and many different varieties–but there can only be one. 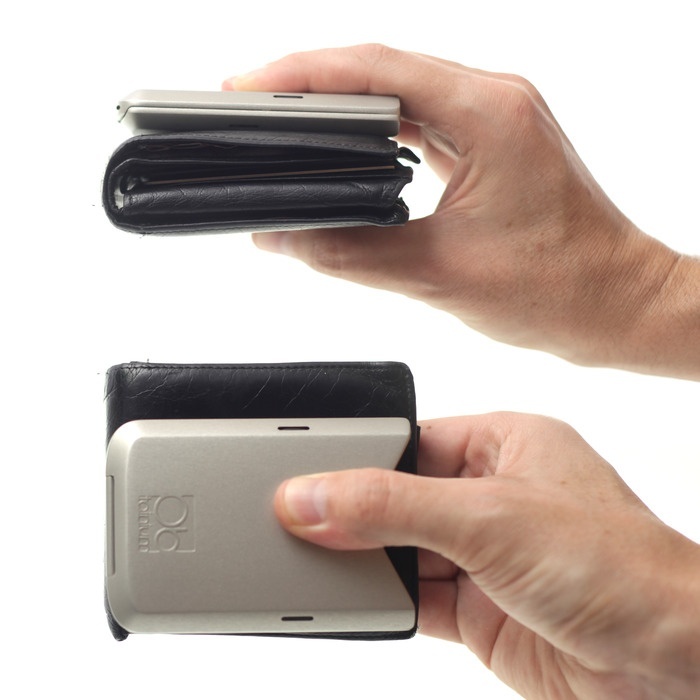 And for 371 people and counting, they happen to think that Obtainium’s new wallet is The One. Crafted from aircraft-grade aluminum and hard coated to a satin texture, the wallet features a simple design that lets you use it in ways that you never could with all the other existing wallets in the market. For example, now you can grab the card you need without even having to open the wallet–and this is all thanks to Obtainium’s unique insertion and removal system. By David Ponce on 09/03/12 • Leave a comment! We’re not going to try and fool anyone into thinking this is a classy set of things. It’s Space Invaders, for crying out loud. 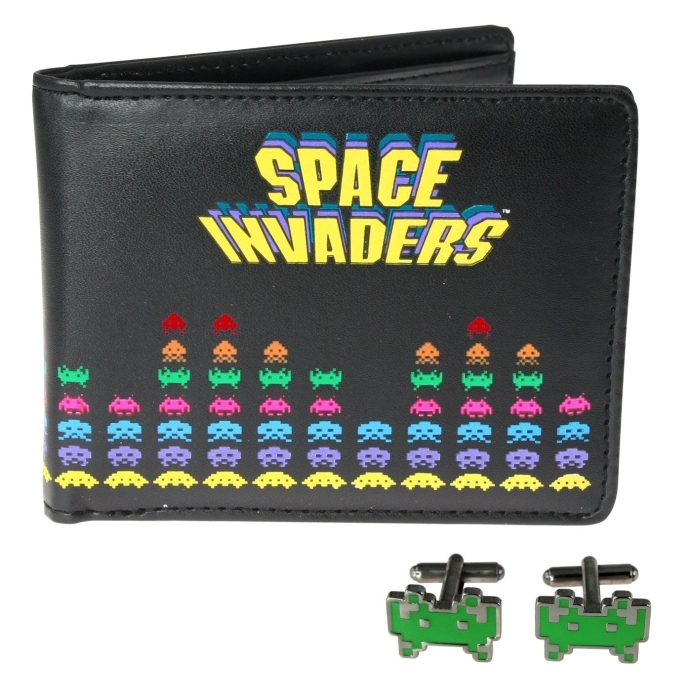 But we do believe there’s enough folk that are passionate about retro gaming who might get a kick out of these cufflinks and wallet. Wallets are for storing your cash and credit cards and USB keys and stuff, and such a simple and straightforward use implies a simple and straightforward design. Apparently, some of you have expressed enough of a desire to also use your wallet for other things, like, I don’t know, killing people, that TMT Wallets felt that they could introduce a “tactical wallet” that would be commercially viable. 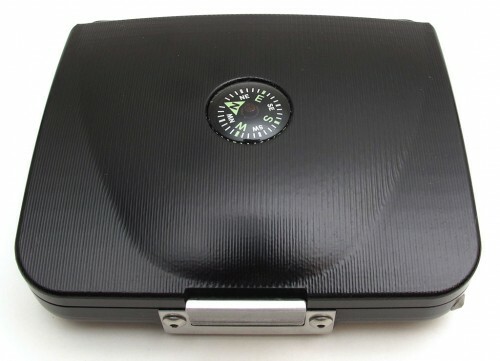 The TMT Tactical wallet assumes that if you buy it, you are professional super spy who is likely to be captured by the enemy on one of your top secret missions. Therefore, it has been specifically designed to assist you in the following scenarios: enduring water torture (o-rings make it waterproof), keeping your secrets secret (it has two hidden compartments and is impervious to RFID), beating your guards senseless (it’s made of 6061-T6 aluminum), breaking out of prison (it has a carbide glass breaking point), removing shards of broken glass from your flesh (it has tweezers), finding your way back to the good guys (it has a compass), and then enjoying a nice meal when you get home (it’s got a toothpick). Oh, and if course it has a built-in pen that you can use to write a screenplay about your adventures. When you consider all of these advantages, who cares that it’s gigantic and heavy and uncomfortable and $125? As a professional super spy, you need one.